Provo has much to offer history buffs, with a deep, rich, but also sad history. Originally called Timpanogots, which means “rocky,” Provo has had many name changes, many of which were rooted in history. The first inhabitants, the Timpanogos, were a peaceful people, but disputes over land and cattle broke out between the settlers and Timpanogos got engaged in a battle that is known as the Battle Creek Massacre. 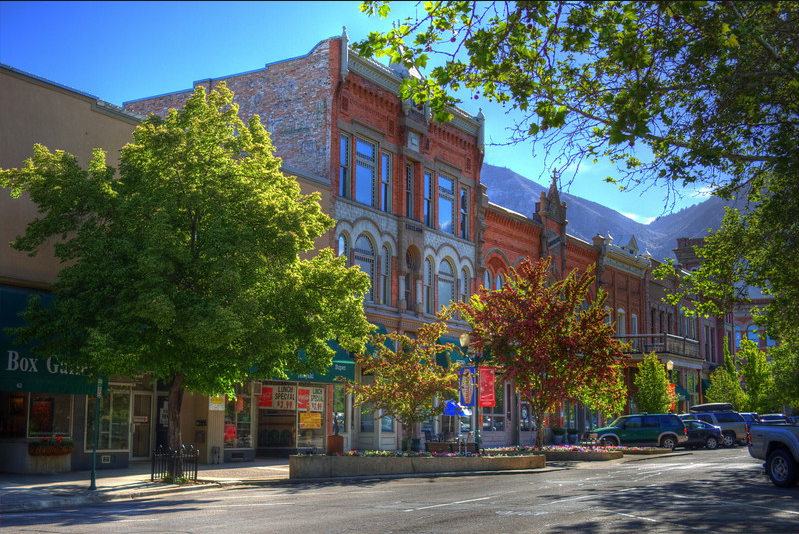 Provo eventually grew into a big and popular city with plenty of historical landmarks and sights that history lovers can explore to learn more. Here are some of Provo’s best attractions that every history lover should check out. If you love history and have a thing for historical buildings then you can also scout the city and have a look at some beautiful old buildings. Provo is full of beautiful old buildings like the Wood-Harrison House, the Clark-Taylor House, William and Ann Bringhurst House and much more. Provo is a wonderful city in a state with a very rich history. It is definitely worth your time to take out a few books and to learn more about all of the things that happened here and to visit a few landmarks, see a few buildings and to shop for a few antiques. Though not all in the Provo/Orem area, many of these landmarks and museums are worth a visit to learn and enrich your understanding of what makes Utah so special. Our very own Hines Mansion has quite an interesting history and is also a sought-after destination for travelers and history lovers. Russell Spencer Hines and Kitty built the mansion in 1895 with money acquired from mining, business and real estate ventures. The mansion was renovated during 1975 – 1978 and in 1995 the mansion was transformed into a bed and breakfast. The rooms and architecture of the mansion are still very true to its original creation and the interior design captures the historical vibe of the mansion perfectly. It is never easy to know what to pack when you are on a journey. The last thing you want is to haul heavy baggage or bring unnecessary items, but you also don’t want to neglect to pack something that you end up needing. At Hines Mansion, we understand the difficulty in packing for a trip when it is never certain what will happen. We also understand just how hard it is to travel with baggage that you never end up using on your trip. That is exactly why we do everything in our power to accommodate our guests as much as we can and help our guests travel as light, easy and comfortable as possible. Here is a basic guide of what to pack and what to leave behind when you are staying over at Hines Mansion. Towels can take up a whole lot of space in your suitcase but luckily there is no need for you to bring along towels. Our luxury guest rooms are all stocked with fresh, clean plush towels for your use. The towels are replaced on a daily basis so you can feel refreshed every day. We have a range of specials and packages that you can also order for your room that includes bath bombs and specialty soaps. Every room also has complimentary products that you can use. There is no need for you to bring along soaps unless you have a specific preference with regards to your cosmetics. You don’t have to bring along luxury extras like snacks, rose petals or flowers. All of these extras can be purchased from us here at Hines Mansion if you were looking to surprise your significant other. We make it a priority to help you create the perfect romantic vibe with rose petals, strawberries and cream, chocolate covered strawberries and more. A hairdryer is one of those things you always seem to forget but luckily you don’t have to pack one. We include a hairdryer in the bedroom accessories for you to use whenever you need to. Each guest is also supplied with a comfortable robe for that immersive luxury experience during those cozy nights. Our bedrooms are fashioned with beautiful luxurious linen that is comfortable and clean. 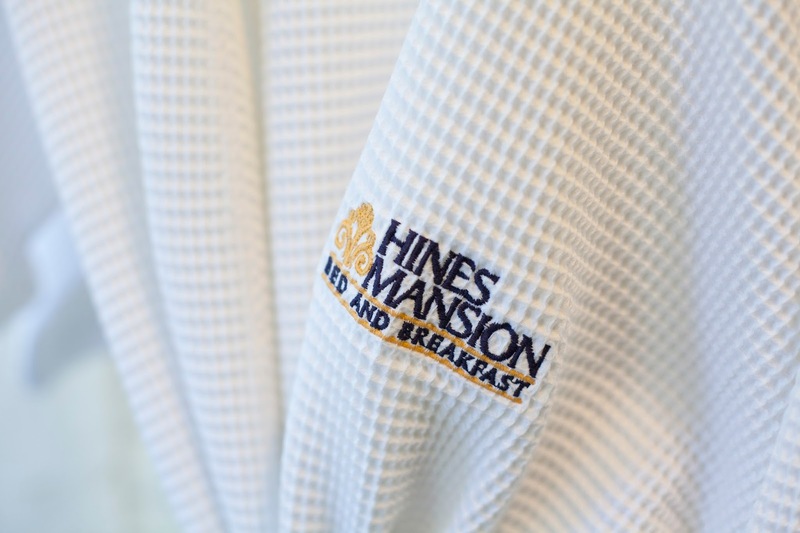 Here at Hines Mansion, we do our best to ensure that your experience is comfortable, and stress-free so you can focus on having romantic and relaxing nights. Don’t worry yourself about bringing extra blankets, and trust us to provide you with a great stay! Clothing is essential that you will have to pack. For every night you will need nightwear and an outfit for the next day. Bring along personal care items like grooming items, makeup, hair brushes, toothbrushes, and perfumes. 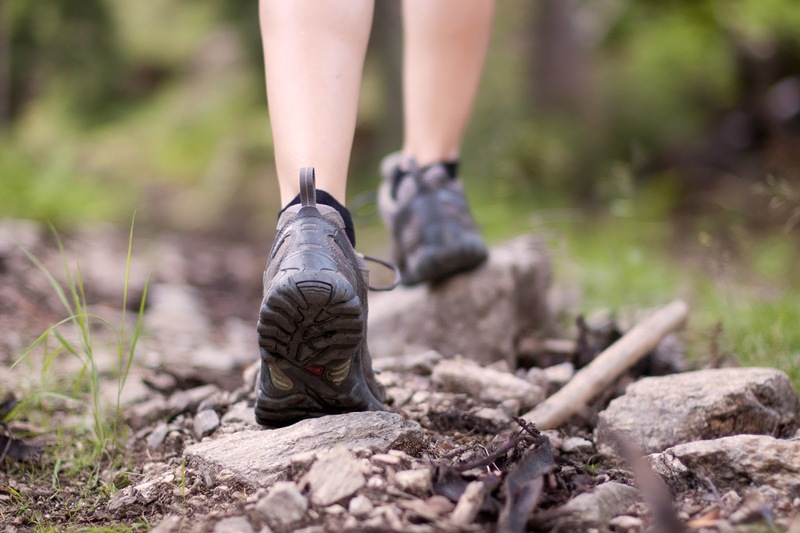 The only other thing you will need is the things you take along as you travel. Your smartphone and wallet and phone charger are the only extras you will probably need. When you stay over at Hines Mansion you can travel incredibly light because basic clothing and personal care items are all you need to pack. We supply all the rest so you can be as comfortable as possible and to focus on the rest and relaxation you will get when you stay here at our luxurious mansion!